← Bringing the Prosecutors “kicking and screaming” into the light of scientific standards. Hmmm. I wonder who Dr4ensic might be? The plot thickens. I’m waiting for the American Academy of Forensic Sciences to weigh in on PCAST. That response will either lend considerable credence to PCAST as a “Path Forward” or… well let’s just wait and see. 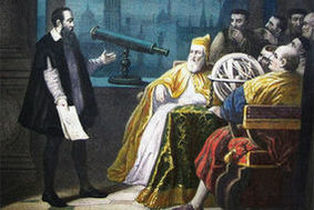 Galileo tries to persuade the Inquisition to look at the Moon through a telescope.